Both Mike and I loved this one. It was very flavorful and tasted very similar to BBQ. Last Friday we had a side of beef delivered and I couldn’t wait to start making new recipes. I am very excited about this. While I was at work I kept thinking about coming home to this and trying it. 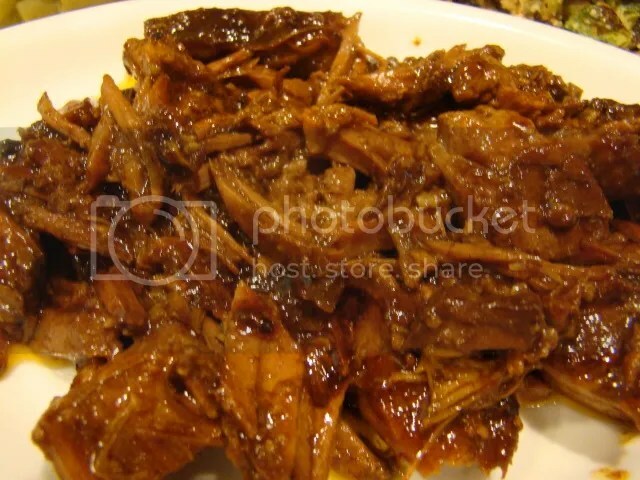 This is a very easy recipe that you can make in your slow cooker. Fold round steak in half and place in bottom of slow cooker. Pour marinade over the top of the round steak and cook on low for 7 hours. Shred with fork and serve immediately. Makes 8-10 servings. Since you won’t actually be consuming all of the sauce that this makes with the roast you will get about 12 carbs per serving. This entry was posted in Main Entrees, Recipes, slow cooker and tagged Catalina Round Steak, diabetic recipe, low carb recipe, slow cooker. Bookmark the permalink.